Here is another Minneapolis St. Paul landmark that I just finished. 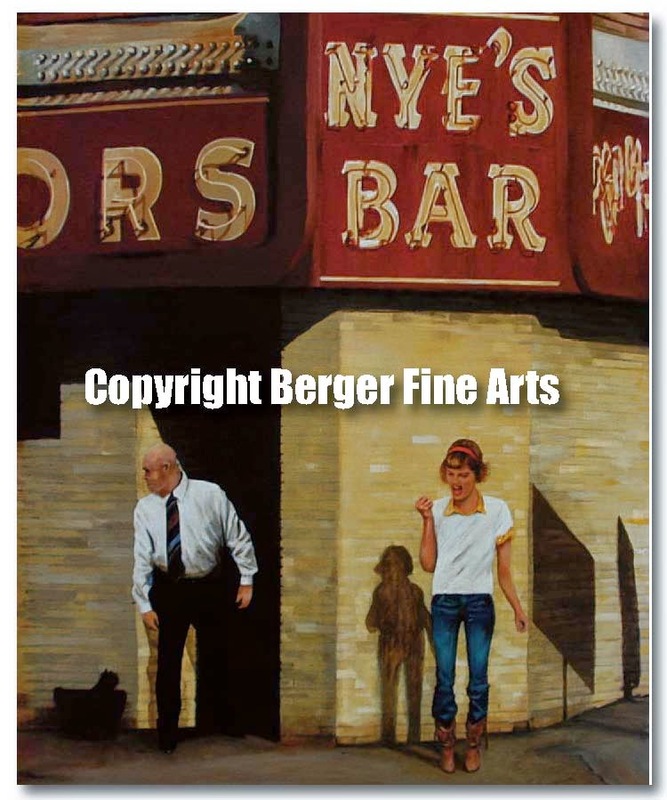 I frequented Annies Parlor years ago after many Minnesota football games. It has a nice view of downtown Minneapolis that I included with this view. I had to put cattle into this picture because it needed something and cattle seemed to fit the touch I felt it needed. You the viewer will have to decide if it is early or late in the day. 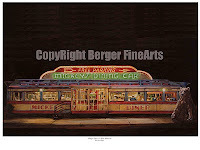 Print size 9 x 13"
Here is a new piece I did of another Minnesota landmark in downtown St. Paul. 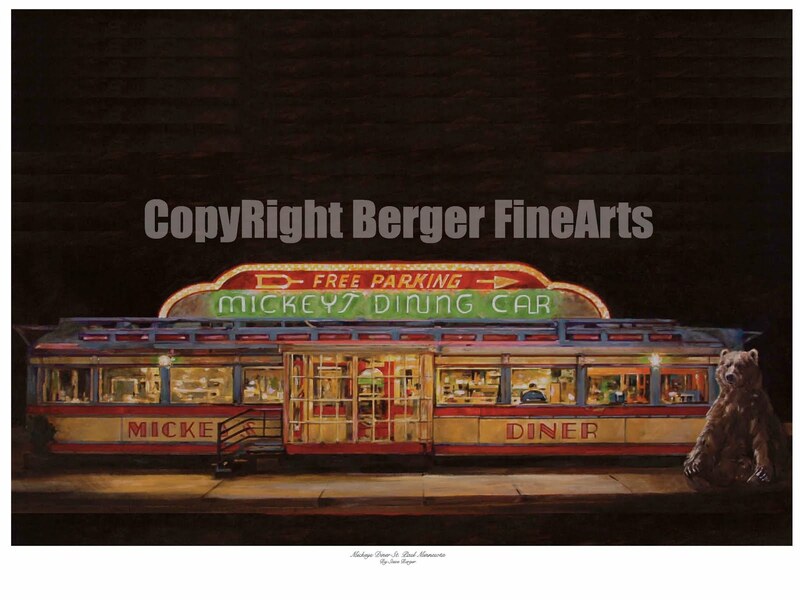 Mickey's Diner has been serving hot food for a long time and it's hard to miss it especially at night. I had a little fun with this image and people ask me why the bear? I say to them why not. At any rate here it is and let me know if you are interested in purchasing a print. A Minneapolis landmark is the Monte Carlo Restauraunt. I love the atmosphere there and especial the food. 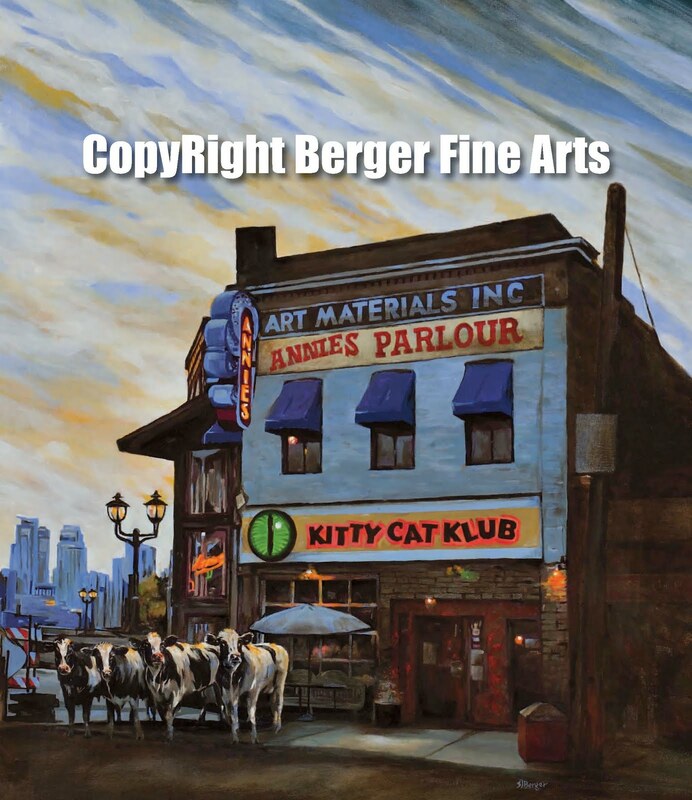 In painting Minneapolis landmarks the Monte had to be a part of the series. I had another view that included the building but I found the sign much more interesting to paint. The paintings title is "Monte Carlo Dreaming" and signed Giclee canvas prints are available now. 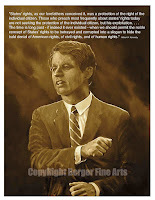 Bobby Kennedy may not have been a president but I think we can all agree he was a heckuva speaker. After reading some of his speeches from 1968 I felt he was talking about today. His speeches add more credence to the saying the more things change the more they stay the same. Bobby was a true leader in civil right movements of the day and I believe after spending some time with his politics he would be truly amazed on what is happening in today's political enviroments. 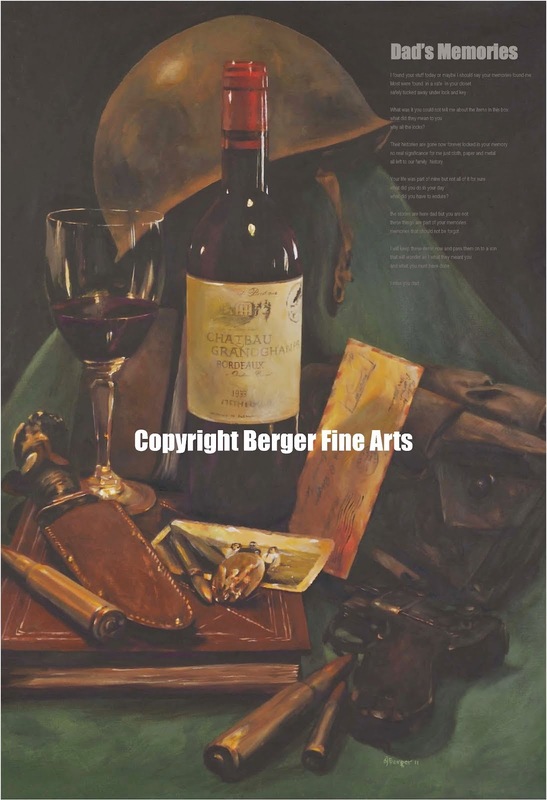 This painting is my initial study painting for a color version but I wanted to make it available to anyone interested in making a purchase of the study. Prints: Signed Giclee prints measure 8"x 11"
Teddy Roosevelt "The Bull Moose Party Founder"
Roosevelt is noted for his energetic personality, range of interests and achievements, leadership of the Progressive Movement, and his "cowboy" image and robust masculinity. He was a leader of the Republican Party and founder of the short-lived Progressive ("Bull Moose") Party of 1912. I just finished this painting of Teddy Roosevelt and wanted to get it posted. This series helps to show what these presidents were all about. 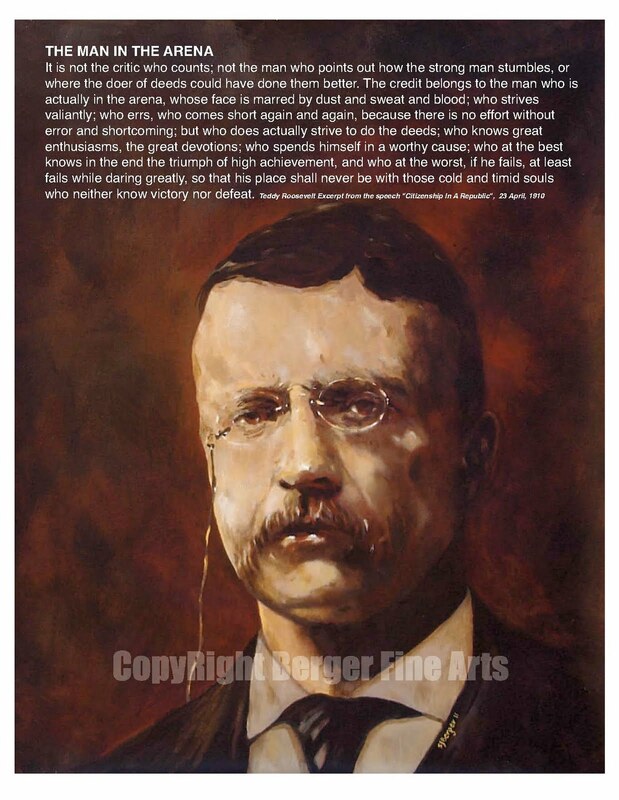 The quote attached to this painting is a well known verse in sports circles but it does add some insight into what President Roosevelt was all about. 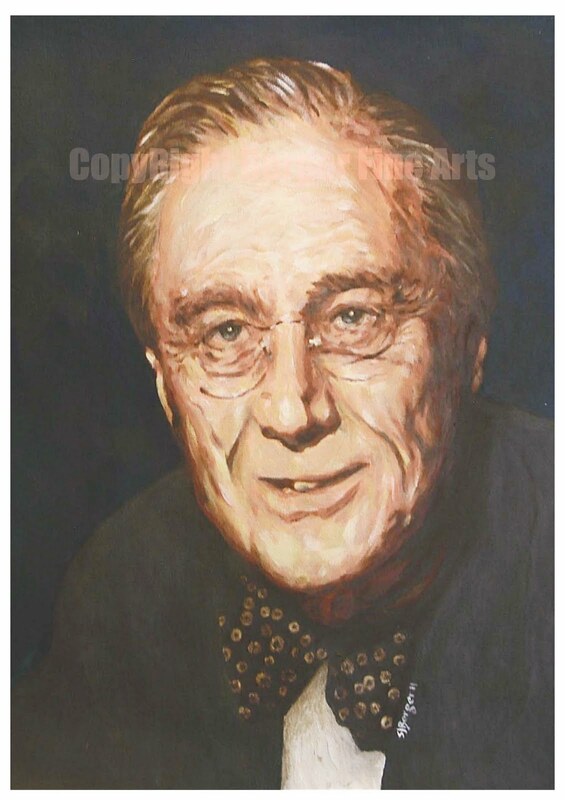 It is really a lot of fun to rediscover these men and what they did with their time in office like Mr. Roosevelt who as a child suffered with severe asthma and refused to succumb to his physical limitations embraced all things physical and became an outstanding athlete and later in life outdoorsman. He was home schooled until he attended Harvard and took up boxing. In 1881, one year out of Harvard, he was elected to the New York State Assembly as its youngest member. Roosevelt's first historical book, The Naval War of 1812 (1882), established his professional reputation as a serious historian. After a few years of living in the Badlands, Roosevelt returned to New York City, where he gained fame for fighting police corruption. The Spanish–American War broke out while Roosevelt was, effectively, running the Department of the Navy. 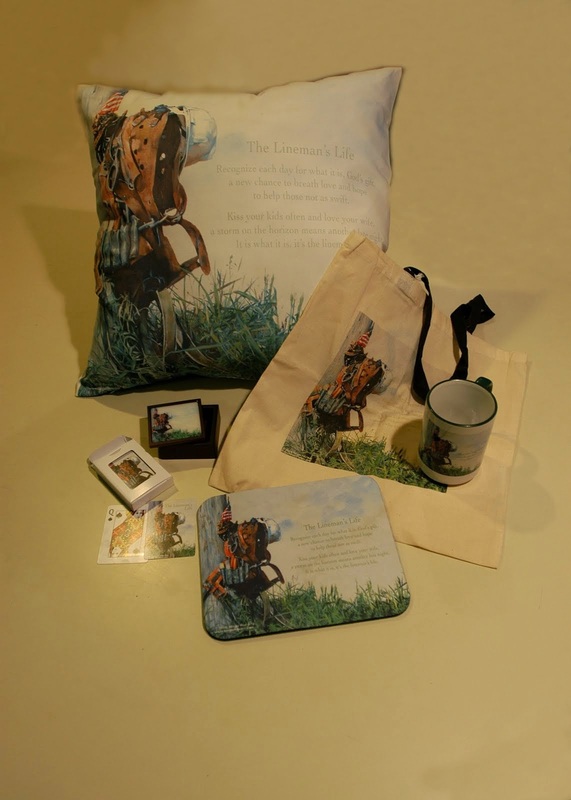 He promptly resigned and led a small regiment in Cuba known as the Rough Riders, earning himself a nomination for the Medal of Honor, which was received posthumously on his behalf on January 16, 2001. After the war, he returned to New York and was elected Governor in a close-fought election. Within two years, he was elected Vice President of the United States. He did all this before the age of 42.
n 1901, President William McKinley was assassinated; and Roosevelt became President at the age of 42, taking office at the youngest age of any U.S. President in history. Roosevelt attempted to move the Republican Party in the direction of Progressivism, including trust busting and increased regulation of businesses. I just finished this new Marine Poster. This one I have had in various stages of completion for some time and it is nice to have a finished product finally. The original measures 14x18 and prints are available for $70.00. 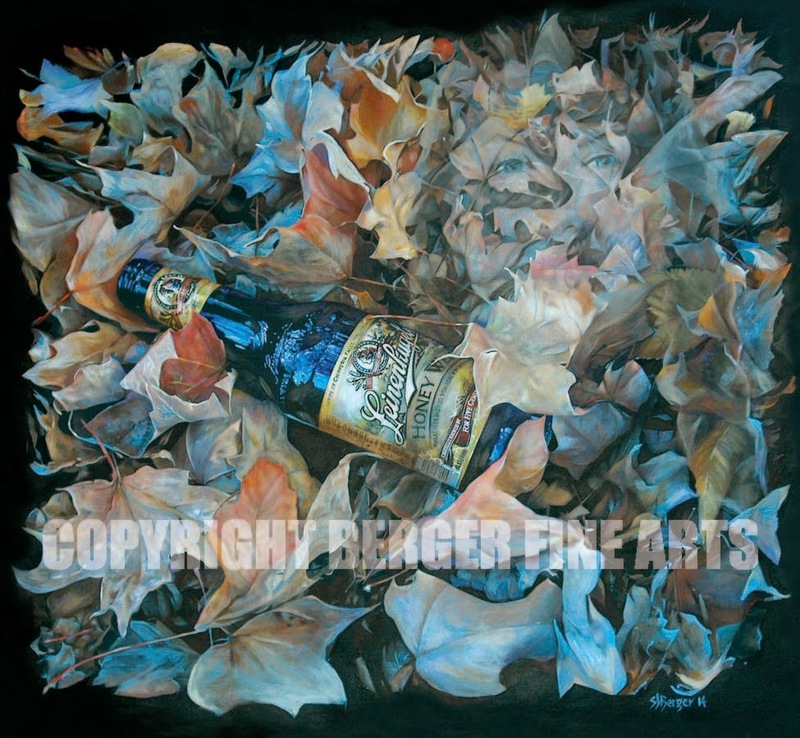 Contact: steve@inposition.biz if you are interested in purchasing a Giclee print on canvas of this image. 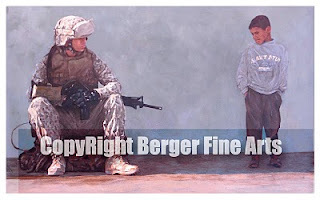 If anyone of your family members have spent anytime in the military overseas this painting will look familiar. This is a piece I just finished. The imagery I think says it all. Giclee canvas prints of this limited edition signed 21" x 13.5"painting called "The Standoff" are available now for $150.00 each. Free shipping. Following the previous FDR post here is the FDR Poster with one of his fireside chats included in the art. This art reflects a time in history that sounds a lot like what is being said currently by political parties in the United States and is part of the Presidential Series of paintings that I am currently working on. 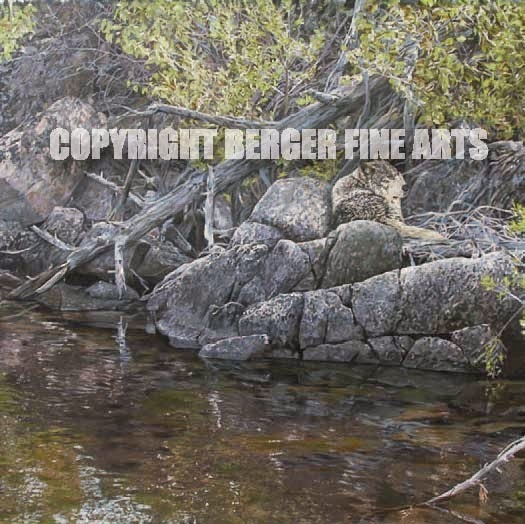 This is a 14.5" wide x 16" high Giclee print that is signed, numbered and printed on canvas will sell for $115.00, that includes shipping. This is the third painting of the Presidential Series. 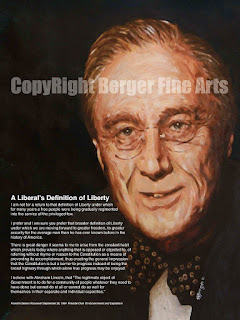 There is a speech of FDR's that goes with this painting and I will attach that art soon so that you can see the speech I chose to go with the art. I already have the next president started for this series and I should have it done in the next couple of weeks. This original acrylic painting is 15.5 x 16 high. 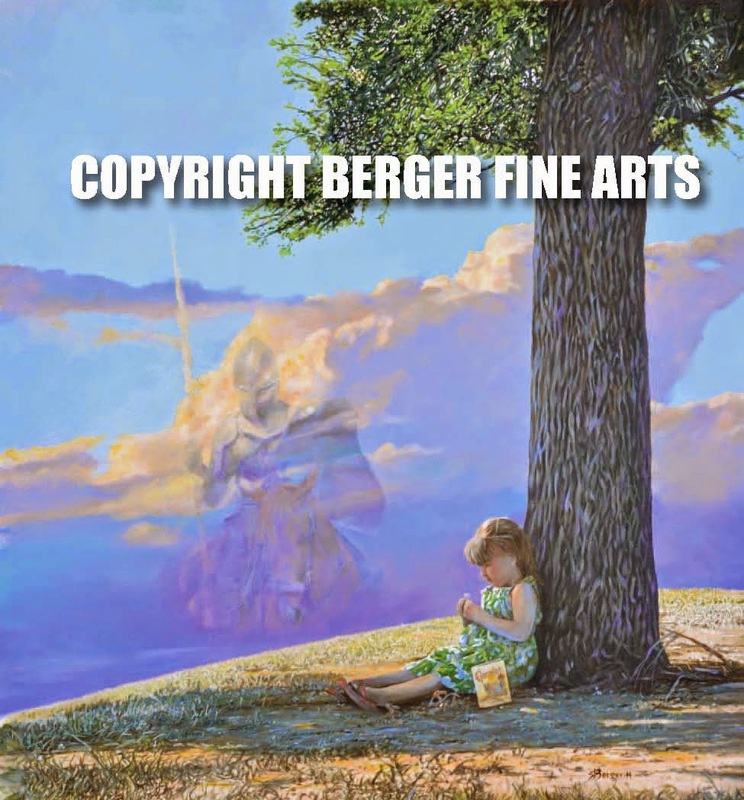 If you are interested in the original you can contact me at: steve@inposition.biz. 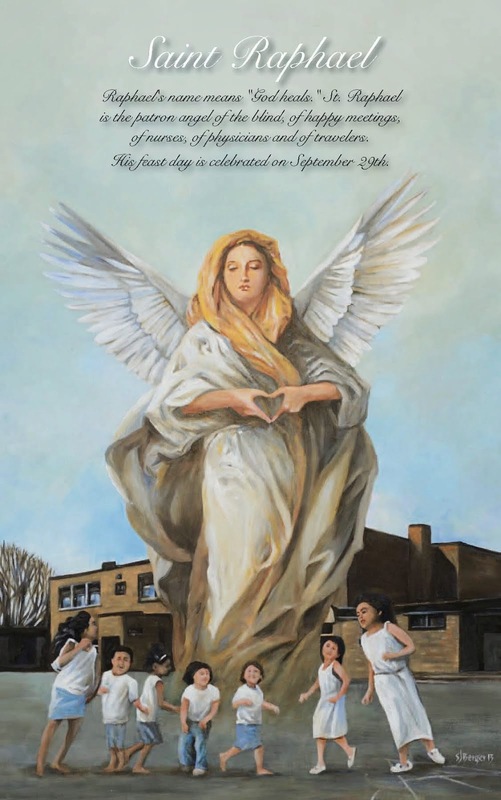 The prints with speech will be priced in the following post. Watch for updates. 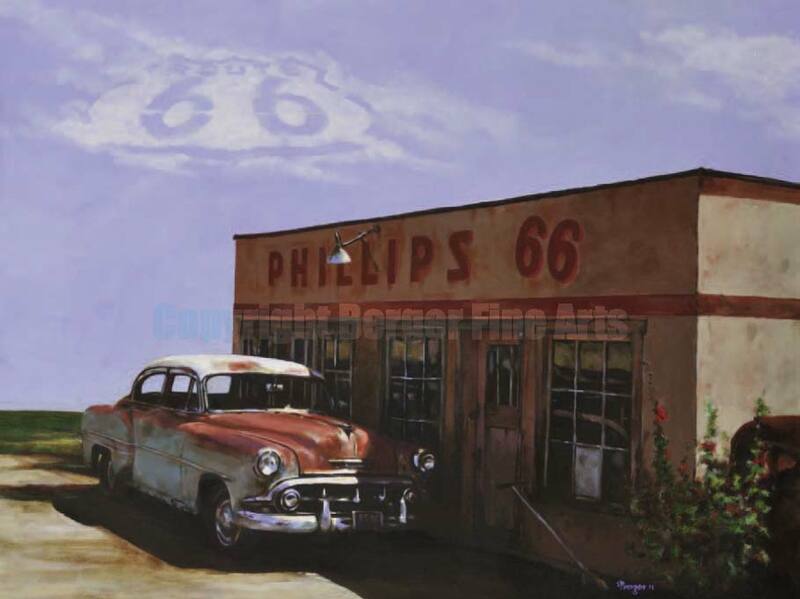 Here is the final version of the Chevy in hiding painting. I knew it needed something else and I finally figured out that adding the Route 66 sign in the clouds was all it lacked. This is the first of a series of older cars that I will be paiinting through the summer. Watch for them. 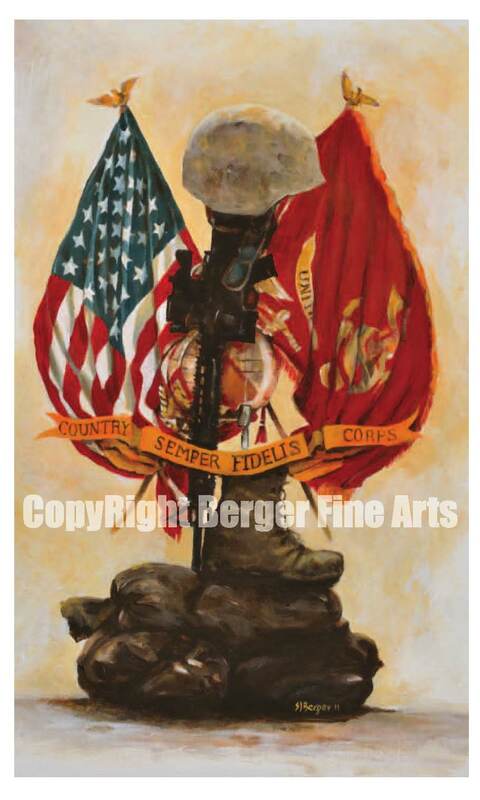 This 12"x14 signed Giclee canvas print is now available for $110.00. 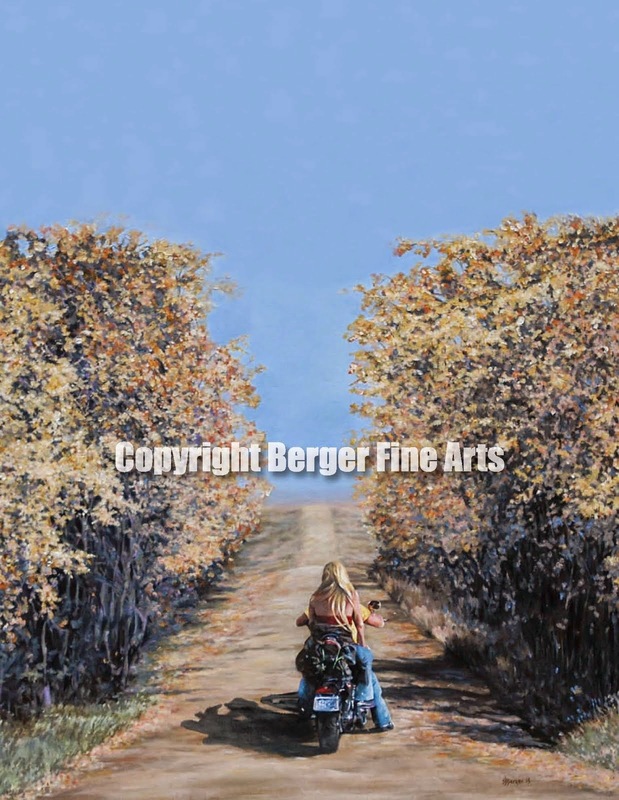 If you are interested in ordering "Chevy in Hidingcontact me at: steve@bergerfinearts.com and I will get a print shipped to you. Labels: Retro Automobile Painting "Chevy In Hiding"